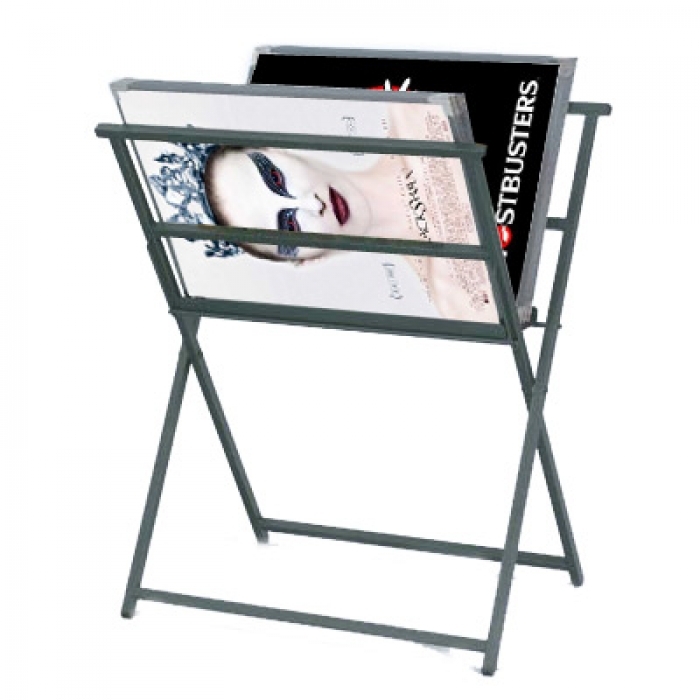 Foldaway Poster Browser Display Stands - these Poster Displayers consist of a steel browser frame, which is available in a choice of colours. Each panel has coloured fabric edges, metal corners and a white separator to allow posters to be shown back to back. Please note that the panel dimensions shown are external and 2" greater, on each dimension, than the poster which they will hold. These are a made to order item - 10 days approx lead time. Popular for galleries for all your art prints, tattooists and schools or colleges. 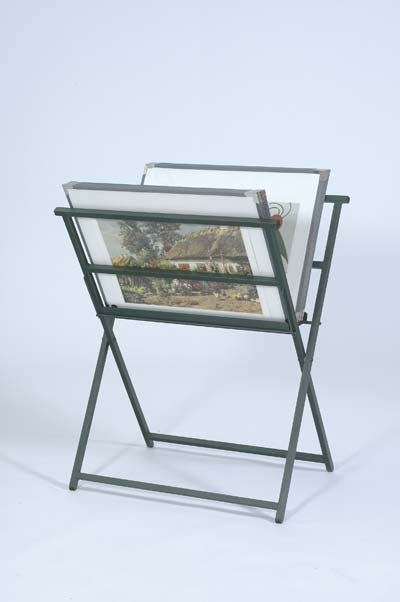 This art browser is ideal for temporary displays and can be opened and closed when required. 15 Classic Sleeves Included. (H) 880mm x (W) 715mm x (D) 524mm.